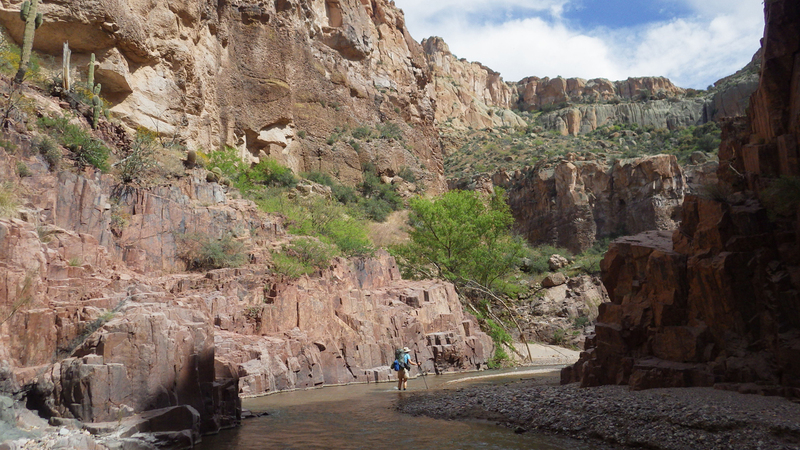 Over the last 17 years, I've backpacked into Aravaipa Canyon more than 20 times, but this was truly the best trip ever, thanks to stellar company, perfect weather and the support of the group that allowed us to venture high into some spectacular side canyons. A little more adventure than we bargained for mountain biking a loop trail north of Oracle State Park. 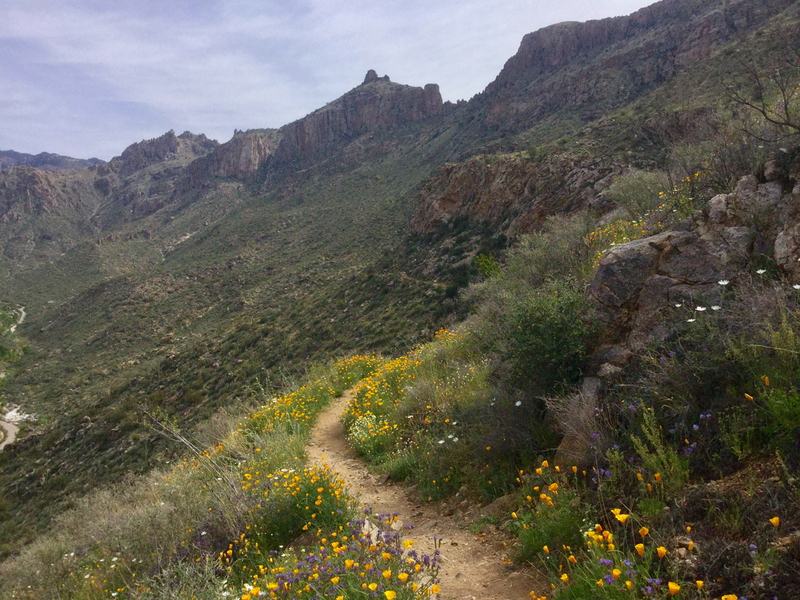 After a remarkable winter so wet that Sabino Creek never stopped flowing, we experienced an epic spring wildflower season. When an event took us to Clifton for the evening, we ended up camping at Owl Creek Campground in the Gila Box Riparian National Conservation Area. We woke up to a spectular display of wildflowers. A work trip took us to Organ Pipe Cactus National Monument just in time for the fantastic "super bloom" of 2019. All winter we've been watching for an opportunity to go cross-country skiing. But in Arizona, there's a very small window of opportunity between a big snowstorm and the return of bright sunshine and warm temperatures. 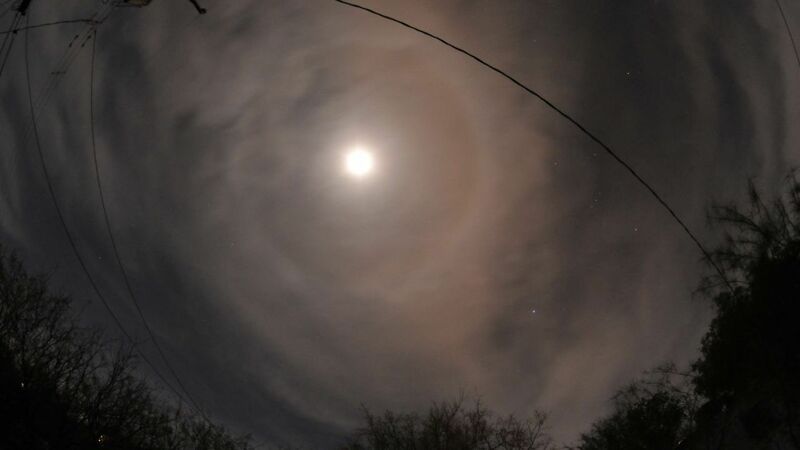 Then in mid-February, forecasters began predicting the "storm of the century", with two to three of snow for Flagstaff, and the weather was expected to stay cold for several days after the storm. 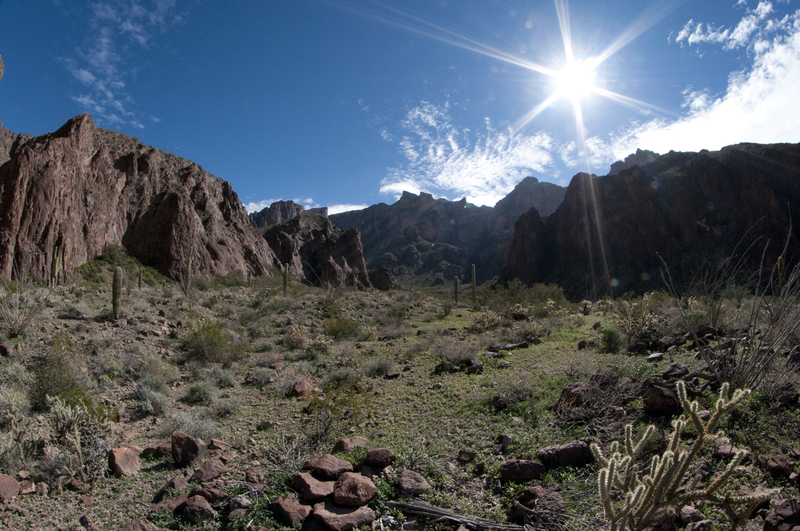 Kofa is an empty, bone-dry, oven-roasted, eerie place where travel is extremely challenging and difficult. Can't wait to go back! North of Phoenix near the Sunset Point rest area is large flat mesa deeply gouged by the many arms of the Agua Fria River. Most passersby would see little of interest here — just a vast expanse of yellow grass spiked with a few low thorny bushes and a handful of prickly pear cacti. But this mesa is part of Agua Fria National Monument, a 71,000-acre preserve that includes some of the significant late prehistoric sites in the American Southwest. The fall of 2018 was remarkable both for unusually cool temperature and higher than average rainfall. Freezing temperatures and a big rainstorm on December 27 capped the mountains with snow and dusted the valley floor, just as we were preparing for our usual between-the-holidays camping trip. At the last minute we opted instead to spend two nights at the Simpson Hotel in Duncan. We met our friends Ann H. and Dave T. from Silver City and spent a delightful evening in front of the firing plotting the next day's adventures. 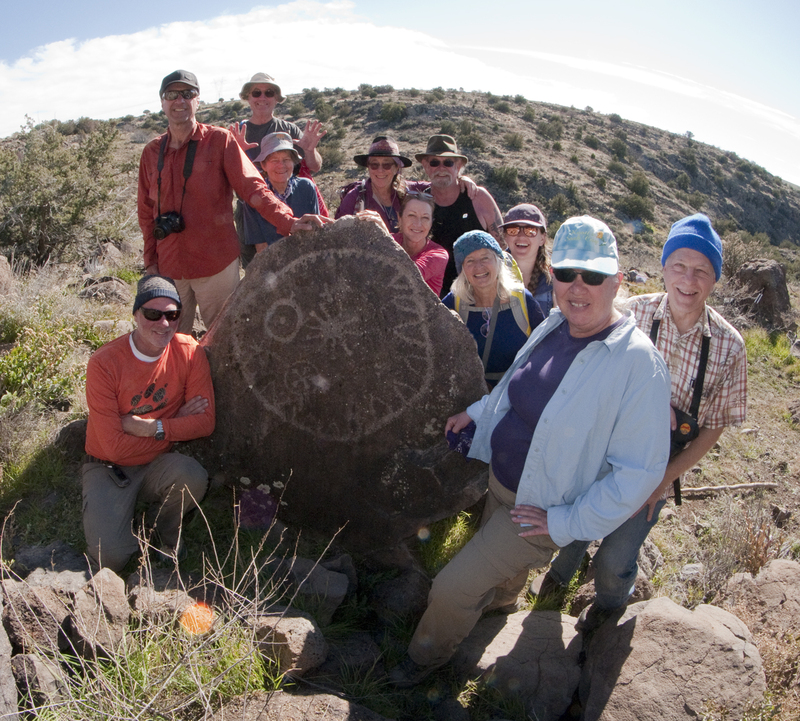 We decided to return to an area in southwestern New Mexico that we last visited in 2013. Although it doesn't often appear on the website, I usually hike one of the less-traveled loops in Sabino Canyon once or twice a week — often with my bestie Susan K. With the all the rain we had this fall, the colors were magnificent (by Arizona standards) and the creek was still flowing at the end of November. 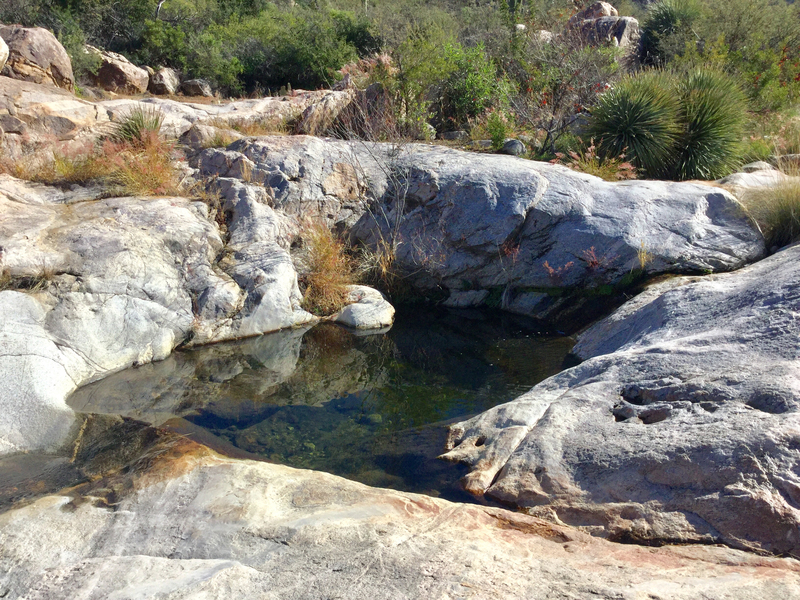 It started with a Mirasol camping trip to Catalina State Park. 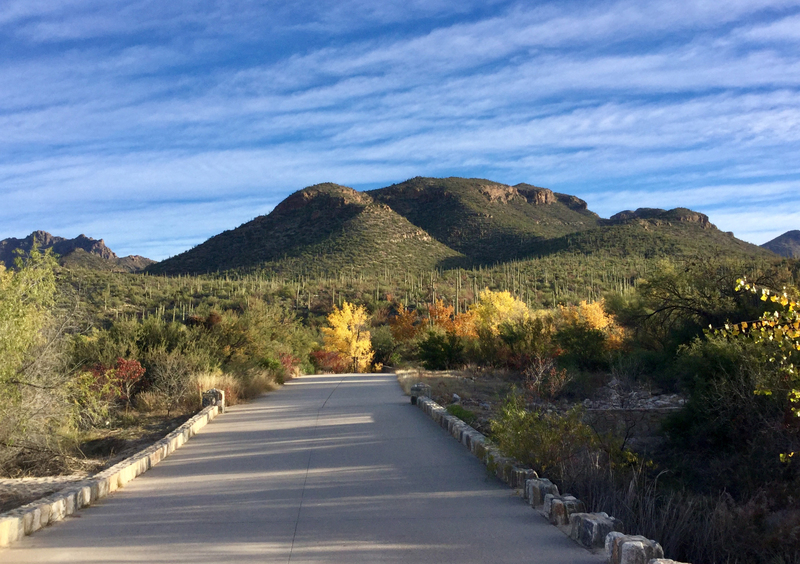 While researching enough trails to keep the teens busy for three days, we discovered that there's much more to Catalina State Park than we ever imagined. The west side of the Dragoons is our traditional holiday hideout. 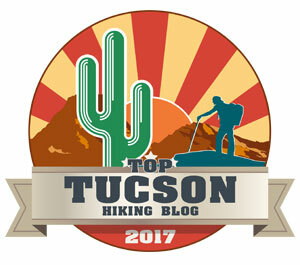 This year we combined it with a tour of historic homes in Bisbee and camping at Whitewater Draw. 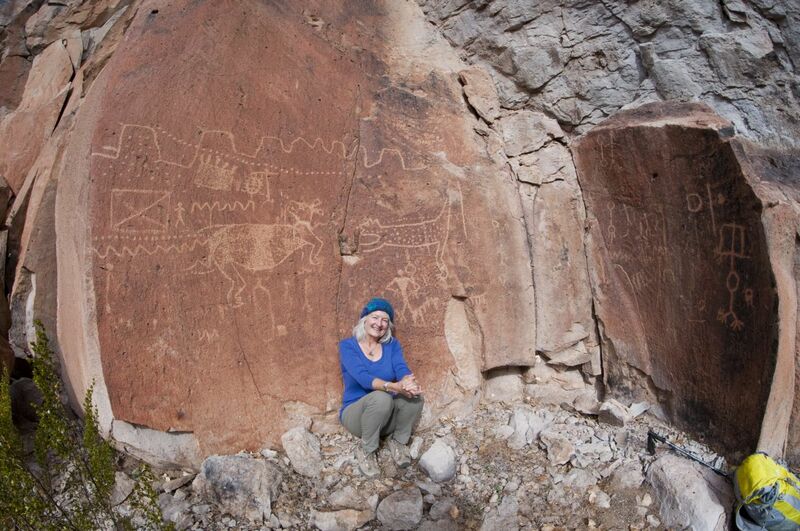 Continuing the "week of birthday," just one day after our trek to Turkey Creek, we headed for Aravaipa Canyon. 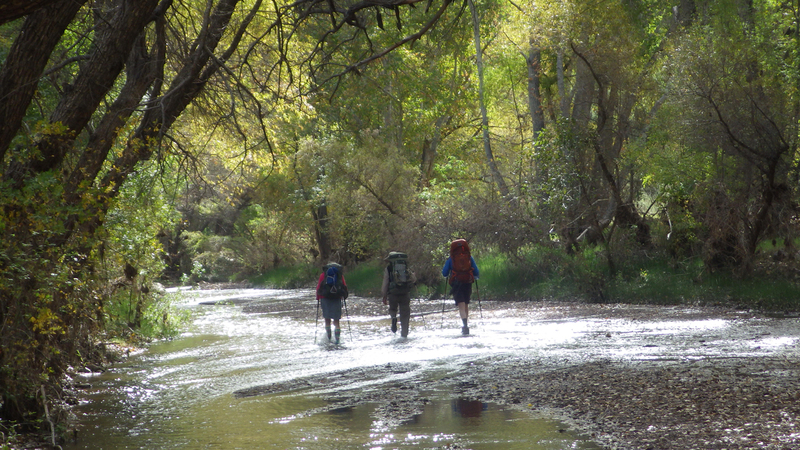 We've made the hike into Turkey Creek six times, but I confess the trek of October, 2018, was a nail-biter.